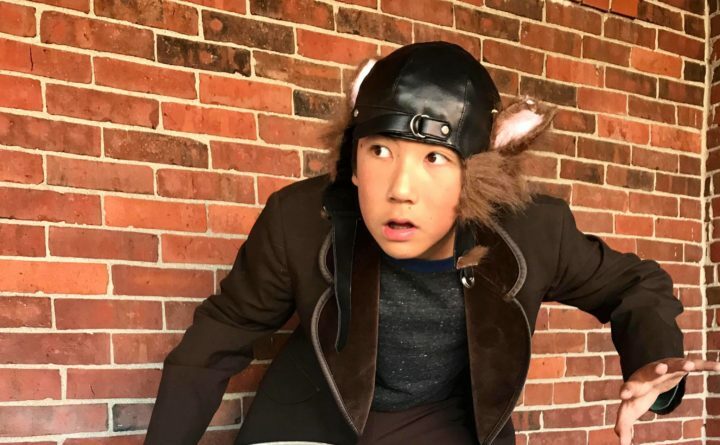 harlotte’s Web features Darby Defilippis of Portland Maine playing Templeton the Rat. Darby is 13 years old and attends King Middle School. PORTLAND– The classic story of “Charlotte’s Web” will be performed by a company of young actors for a young audience at the Children’s Museum & Theatre of Maine Oct. 27-Nov. 11. Show times include Fridays- Sundays at 4 p.m. and Saturdays-Sundays at 1 p.m. There is no 1 p.m. performance on Saturday, Oct. 27 and there is a special 1 p.m. performance on Thursday Nov. 1. Tickets are $10. E.B. White wrote “Charlotte’s Web” in 1952, inspired by a chance encounter with a spider on his saltwater farm in Maine. Meet Wilbur, the irresistible young pig; Fern, a girl who truly understands animals; and the extraordinary spider, Charlotte, who helps teach Wilbur the true meaning of friendship. Based on the novel by E.B. White and adapted for the stage by Joseph Robinette, “Charlotte’s Web”, performed with permission from Dramatic Publishing by a company of young actors. Charlotte’s Web was voted Maine’s second favorite book in PBS’s Great American Reads competition held earlier this year. This meditation on time, friendship and loss is appropriate for all ages, and the perfect first theater performance for a family to view together. Museum & Theatre productions are staged “by kids, for kids.” The theatre is intimate and comfortable, and this performance is created for all audiences. The performance will last about one hour with no intermission. Tickets are $10 (members receive a 10% discount) and are available at the front desk and online at www.kitetails.org. For a full performance schedule, visit www.kitetails.org. The Museum & Theatre’s 20+ exhibits, 100+ free weekly educational programs, five annual mainstage theatre productions and dozens of outreach opportunities are best enjoyed by children ages six months to 10 years old. More information can be found at http://www.kitetails.org.